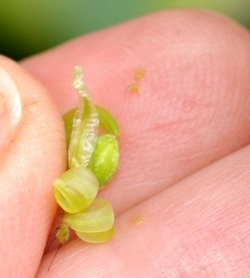 Flower: 5 petals, but fusion makes it appear to have 3; orange-yellow. 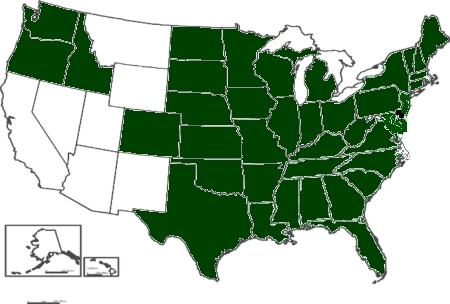 Occasionally more yellow or more red. 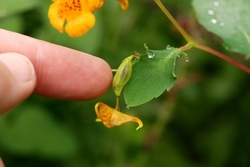 The capsules explode when touched (dehiscent), hence the name "touch-me-not"
Misc. 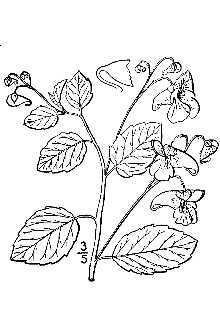 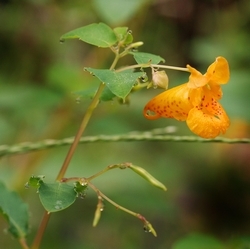 Jewelweed is often touted as a folk medicinal treatment for poison ivy rash and other skin irritations.